We take great pride and care in setting up our instruments and when they leave us you can rest assured every single one is set up properly and ready to play. If you are not completely satisfied we will return your payment, see our 'Terms and Conditions'. MAKALA SOPRANO UKULELE. A COMPLETE PACKAGE. EVERYTHING YOU NEED. THE CLIFFORD ESSEX POPULAR. SOPRANO UKULELE WITH A FUSION DESIGNER GIG BAG. MAKALA TENOR UKULELE. A COMPLETE PACKAGE. EVERYTHING YOU NEED. 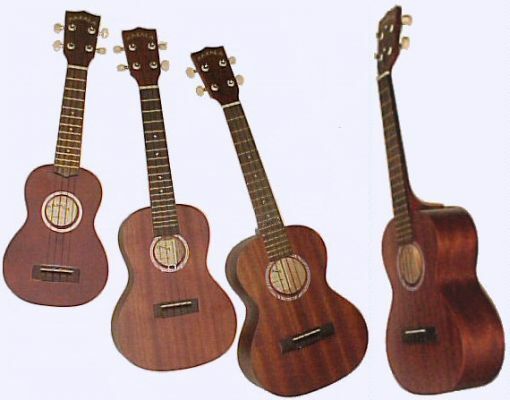 THE CLIFFORD ESSEX GAMBLER TENOR UKULELE. MAKALA CONCERT UKULELE. THE BEST SOUNDING UKULELE FOR THE PRICE. A COMPLETE PACKAGE. THE CLIFFORD ESSEX 'BIG BOOM' SEMI ACOUSTIC BASS UKULELE.